Referee: Marijo Strahonja (CRO). He has been active in International Cups since 2008. In a total of 9 matches since 2013, he has an average of 2.67 yellow cards per game. Three of them had a red card and we should point out he is easily changing from flexible to very strict. He was a fourth official in the away defeat of Panathinaikos against Sparta Praha (3-1 on 28/07/09). 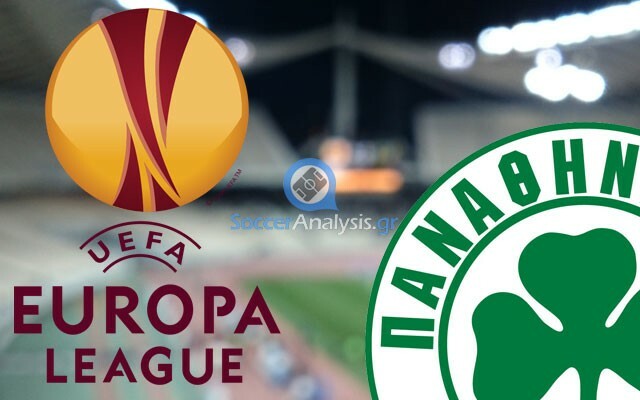 *On 04/11/14 Panathinaikos announced a sold out in tickets for this match. *The two clubs have good relations. Following their previous match, PSV agreed to share their academy knowledge with the Greens. The coach of PSV academies, Joonas Kolkka, spent two seasons at Panathinaikos (2001-2003) and he will be awarded before kickoff for his contribution to the club. *Their first match (Day 03): Panathinaikos escaped with an unexpected draw from Phillips Stadium (1-1). PSV was in total control during the first half where they scored (43’) and had one attempt stopped at the bar (foul kick at 17’). The Greens improved during the second half and they managed to score a late equalizer at 87’ (Karelis). They came close to steal the win but their second goal was cancelled. Panathinaikos recovered the away defeat in the rivalry battle against Olympiakos (1-0) with two wins. The first was for the Cup against Panetolikos (3-1) where Berg came in as a substitution at 76’ and scored the third goal at 84’. Anastassiou decided to leave him at the bench in the next match against Atromitos (2-0) in order to protect him for today. After all, his team got the job done without the help of their top scorer. There is no doubt though that their recent convincing performances have improved their morale and confidence. There is one absence reported for today’s battle against PSV while Schildenfeld and Ntinas may not be in the starting lineup. PSV Eindhoven is still doing great in Eredivisie where they lead the standings with 9W-0D-2L, four points away from Ajax. Their most recent match was against Den Haag (1-0). Do not underestimate their low winning margin as they had to play with a man down since 29’ (second yellow at Hendrix). The goal of Depay at 49’ was enough to give them their ninth win in eleven matches. The players of Phillip Cocu hold the second place in Group E and all they need today is a draw that will allow them to keep their distance from Panathinaikos since it is highly for Estoril to get an away win against Dynamo Moscow in the other match. There are three problems reported. The two clubs might have good relations but I doubt PSV will give up their second place for Panathinaikos. Dynamo Moscow has practically locked a top two placement which means there is only one place left. I was a bit unlucky in my approach for their previous match (over 2.5 goals) since both of them scored but the third goal did not come. The attacking mentality of both sides combined with their motive makes the option of Over 2.5 goals @ 2.15 highly probable again. I hesitate to pick a winner as the odds on both of them do not worth the risk.